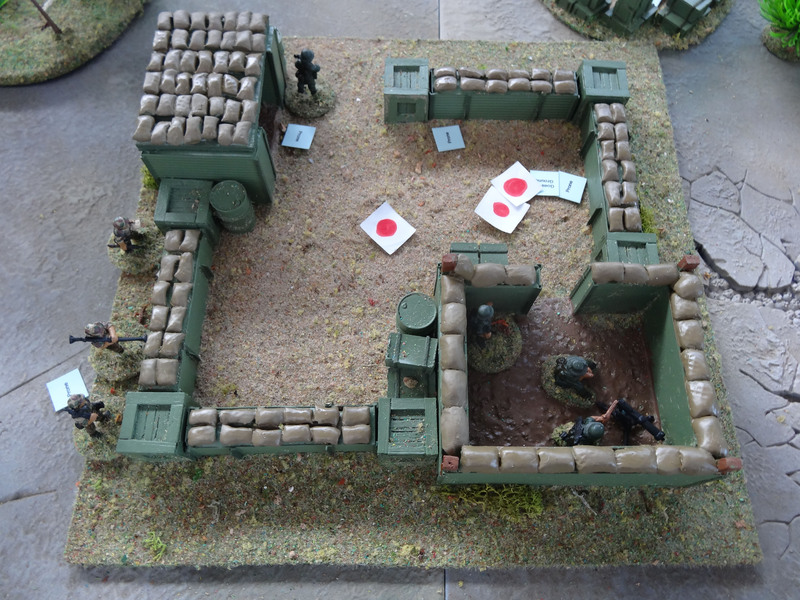 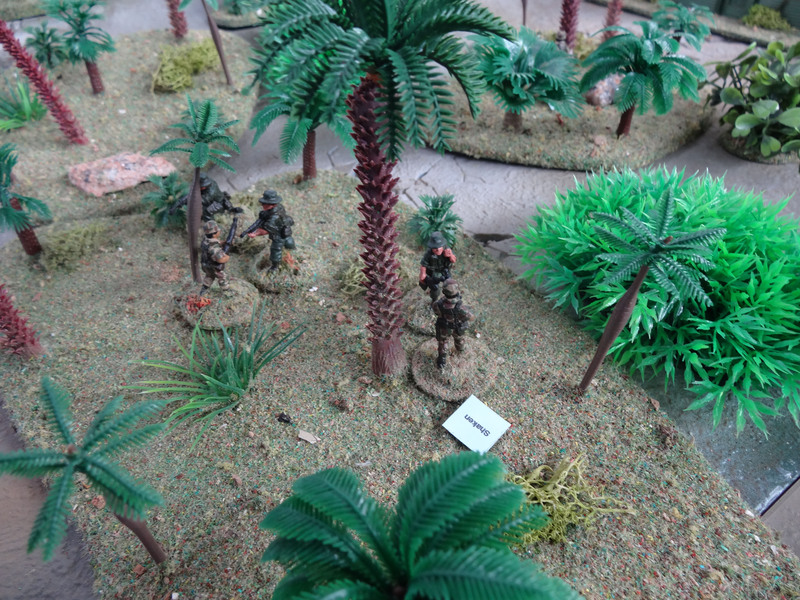 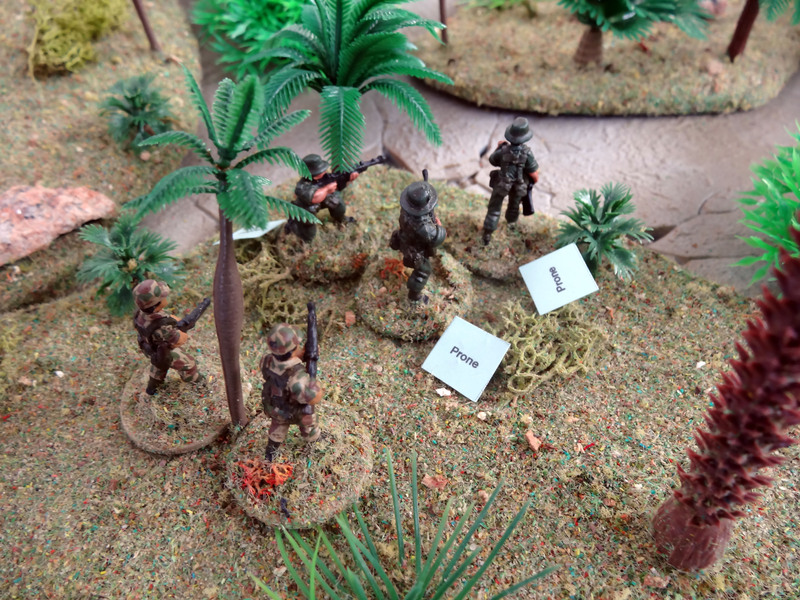 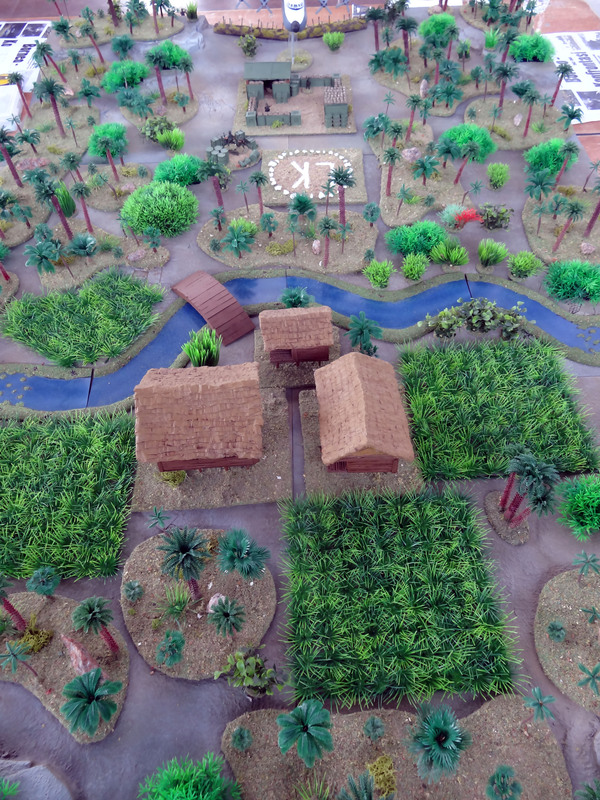 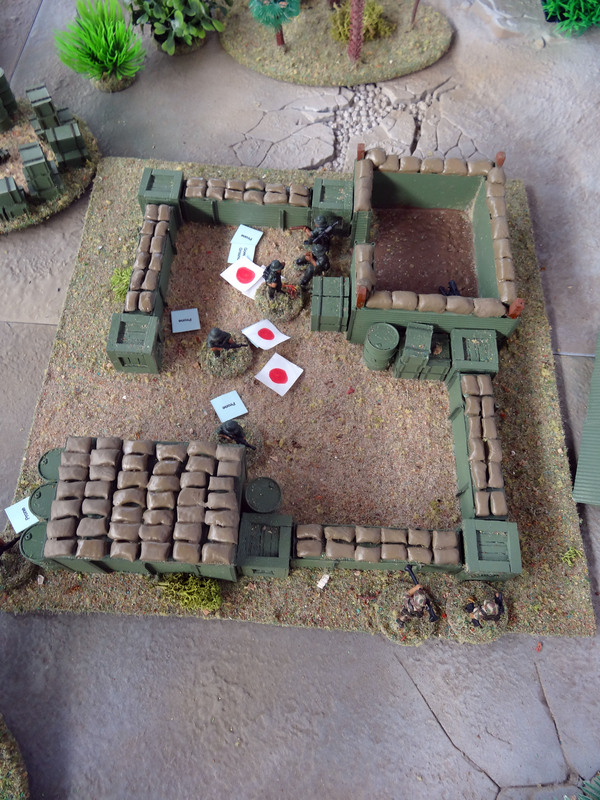 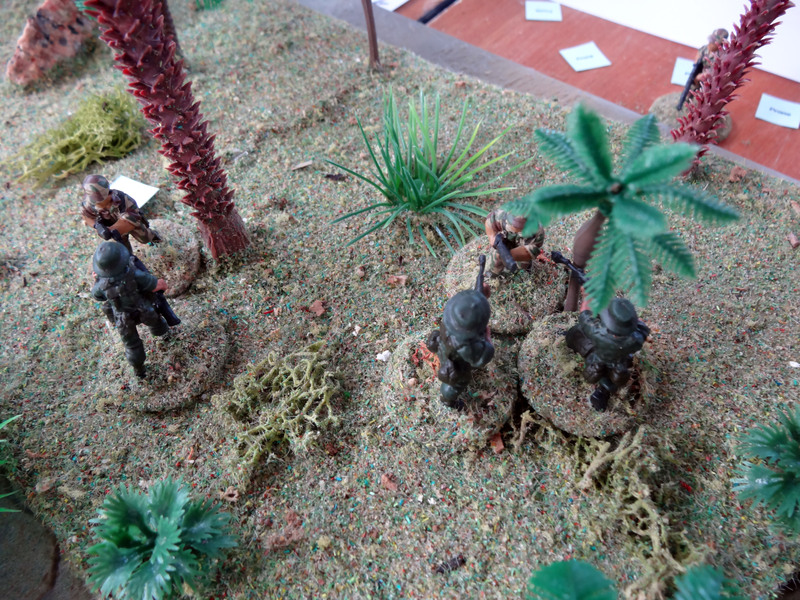 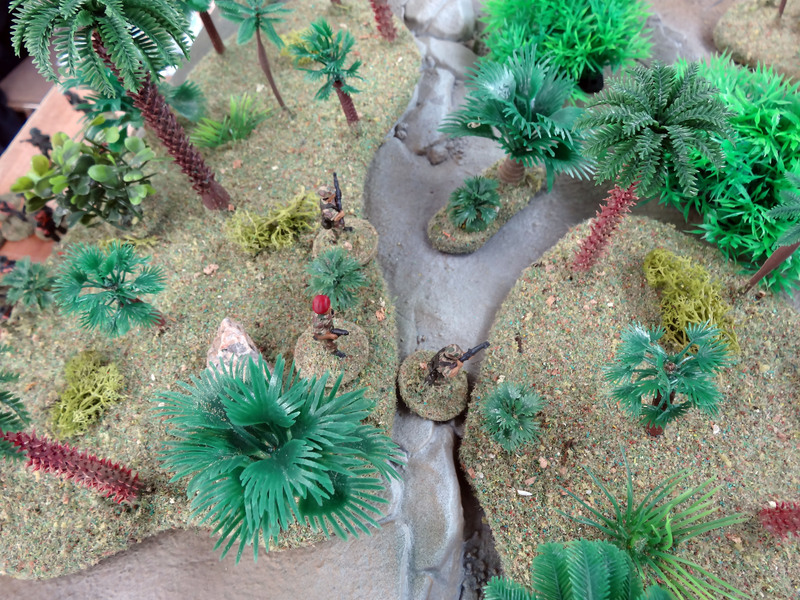 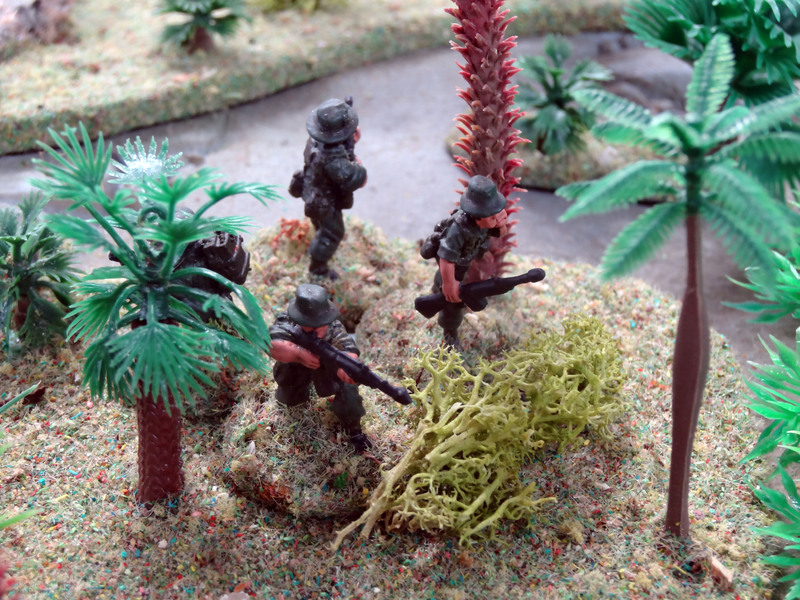 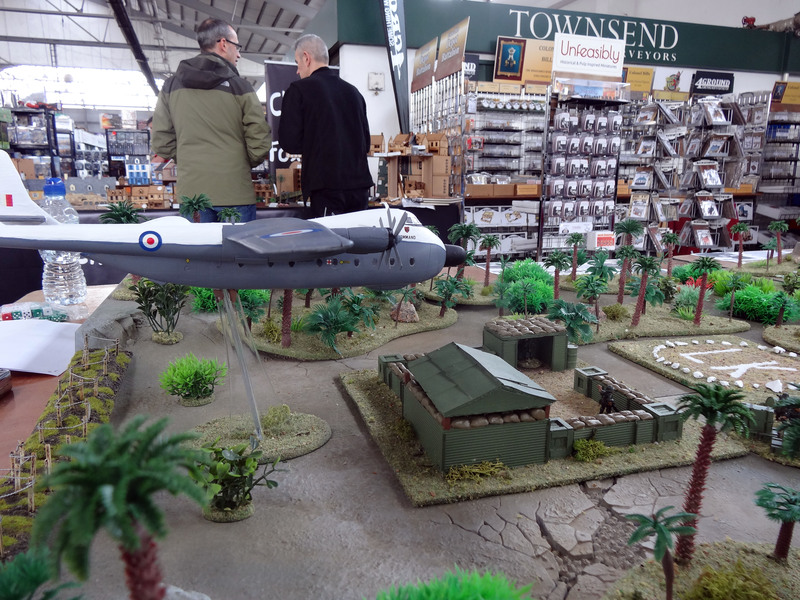 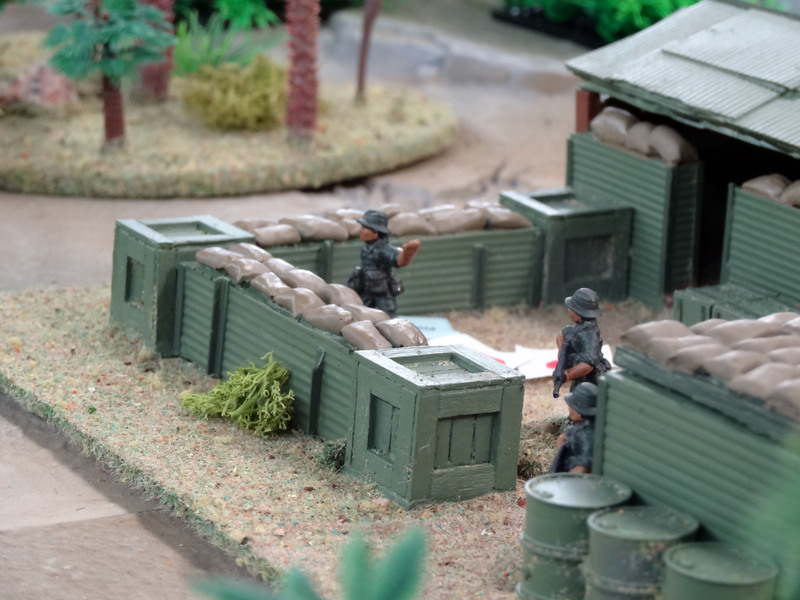 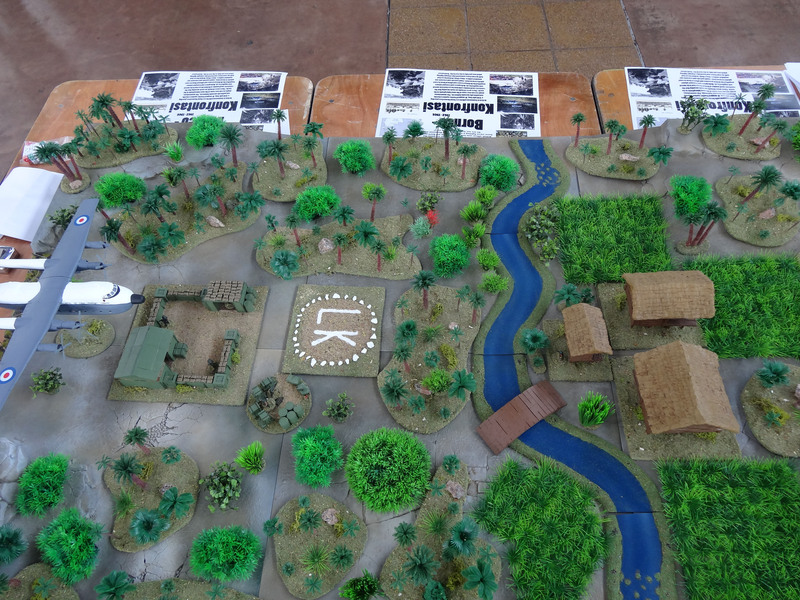 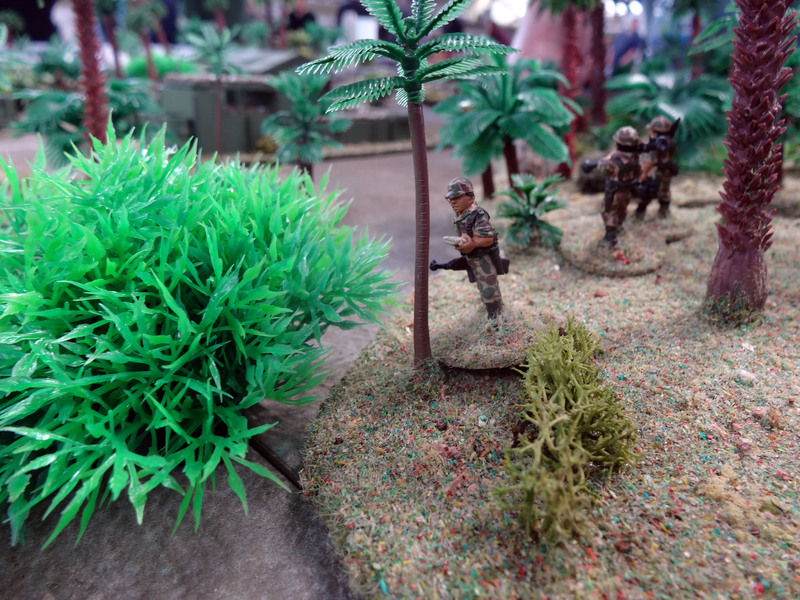 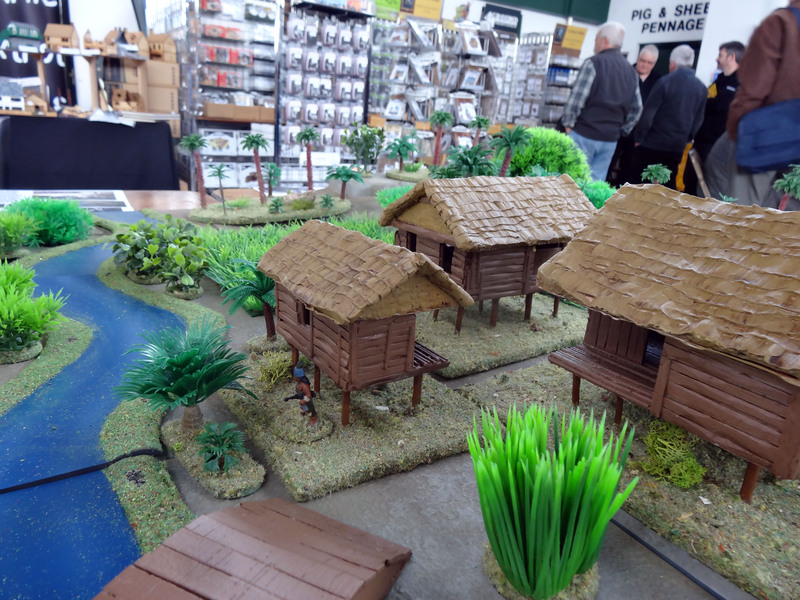 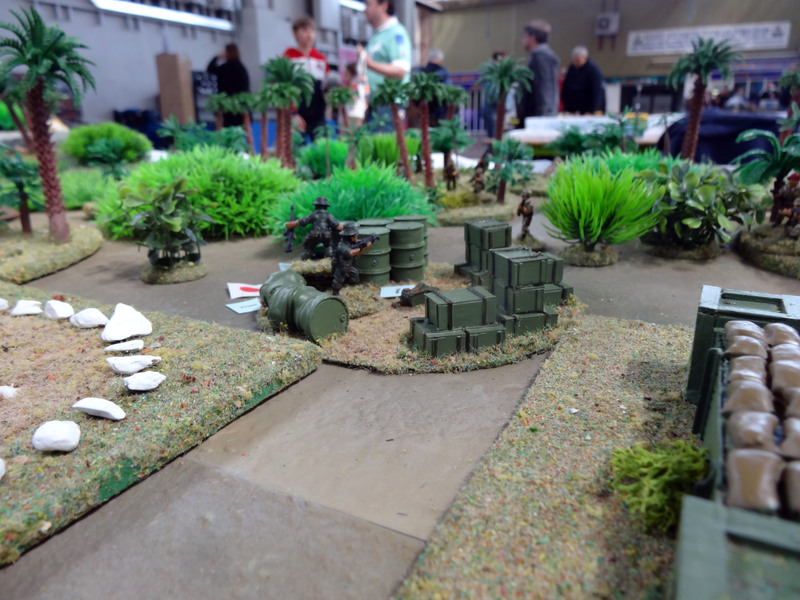 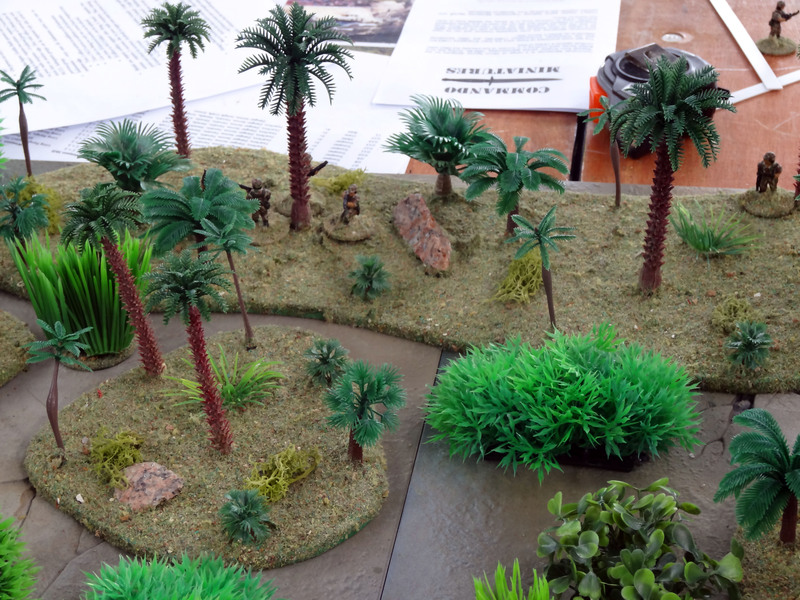 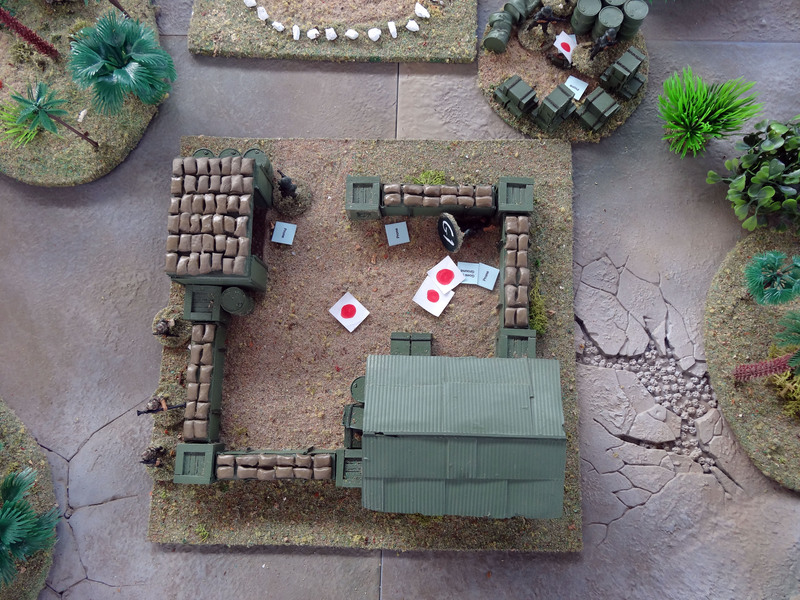 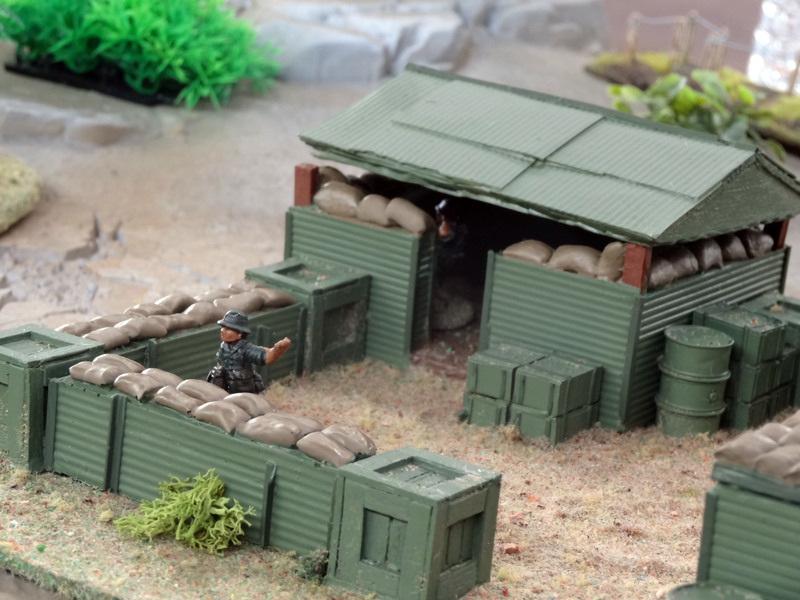 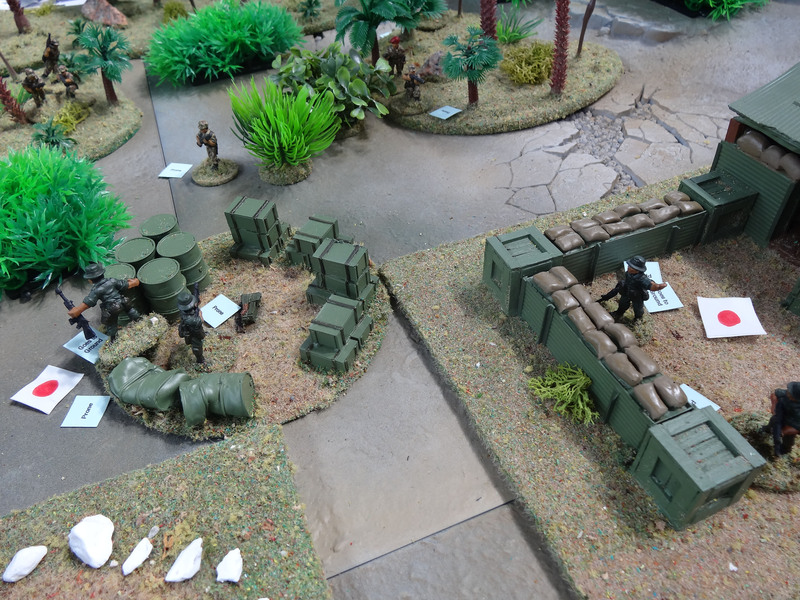 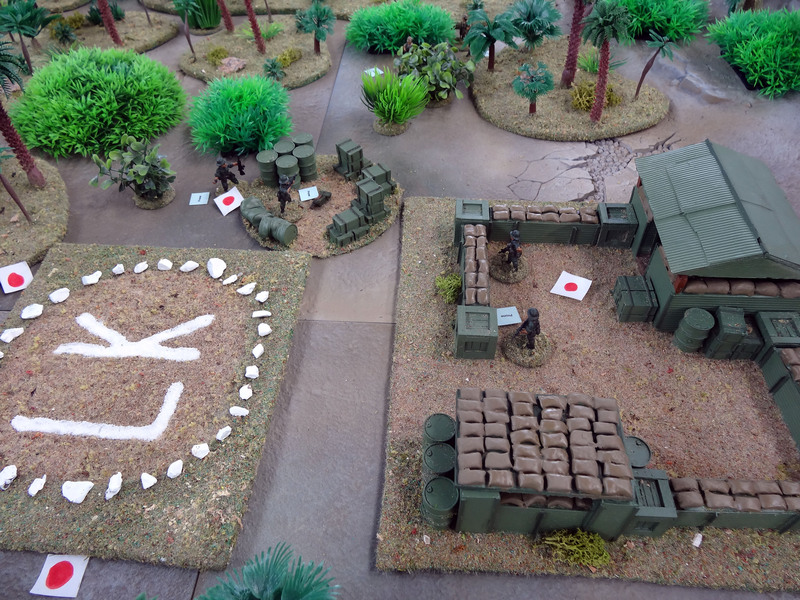 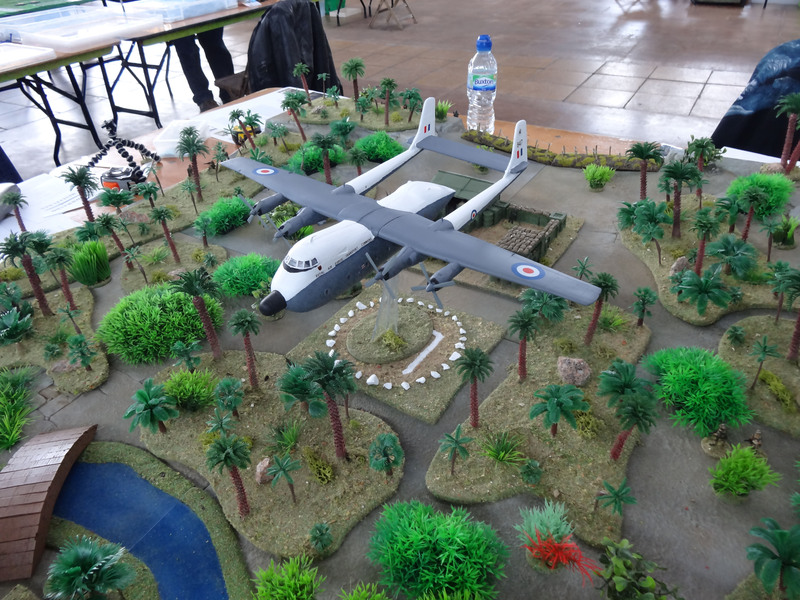 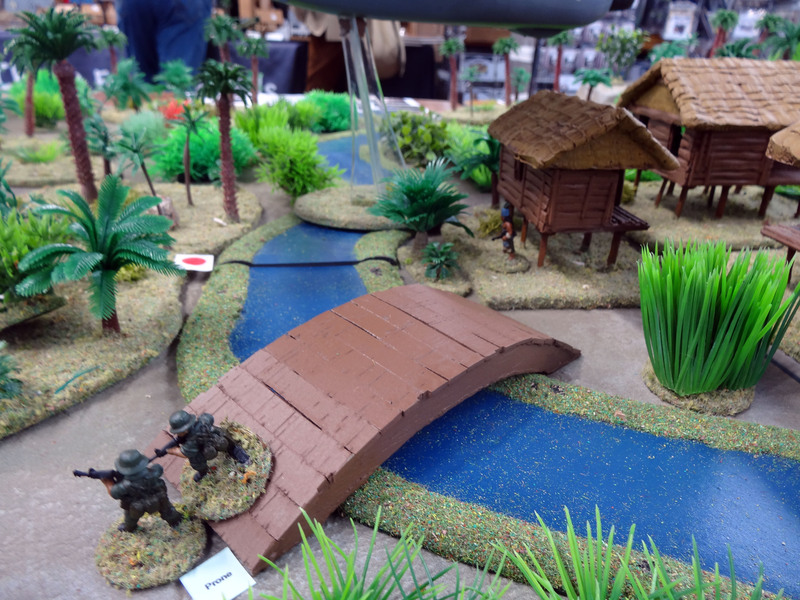 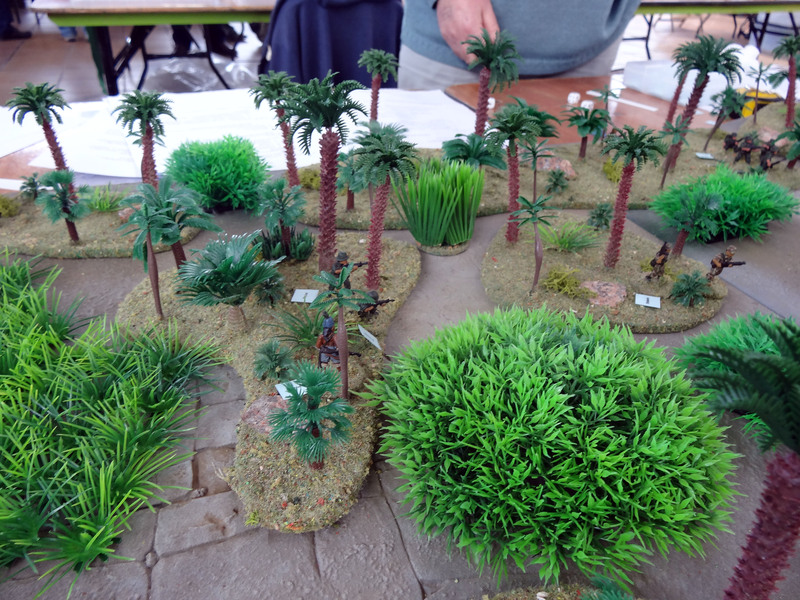 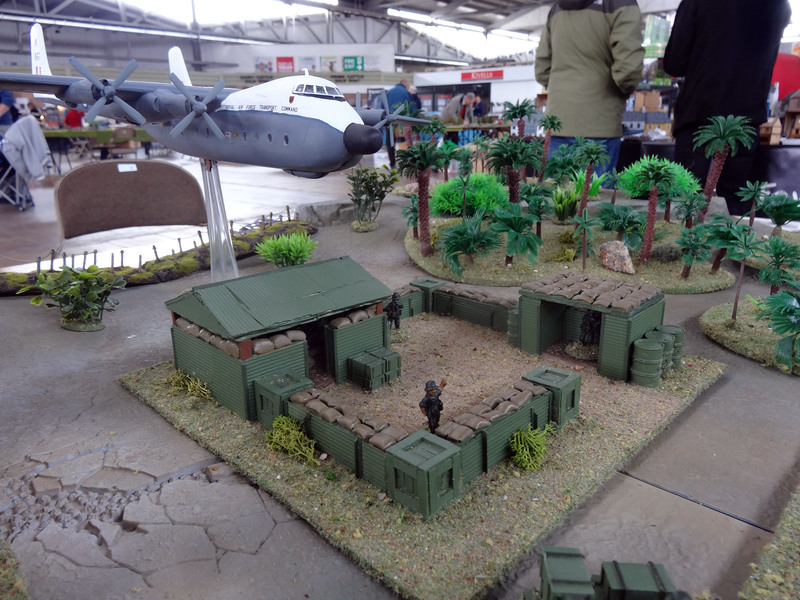 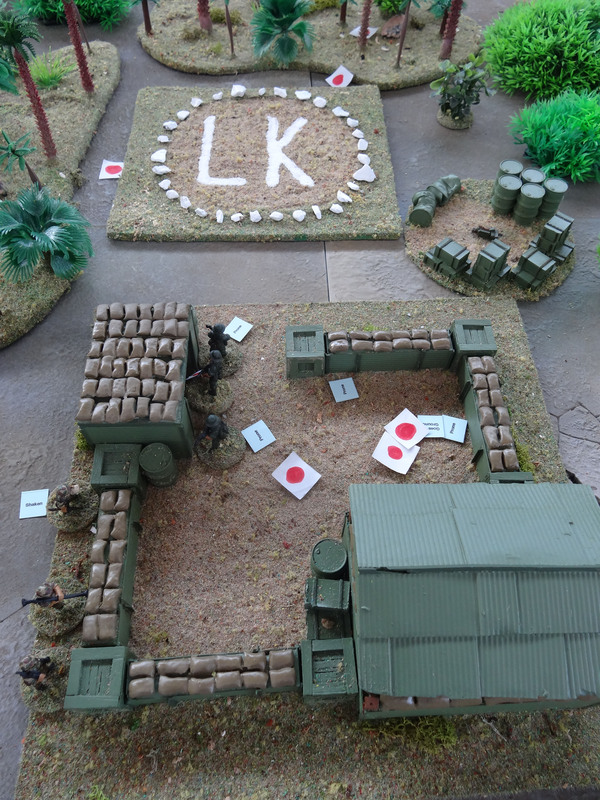 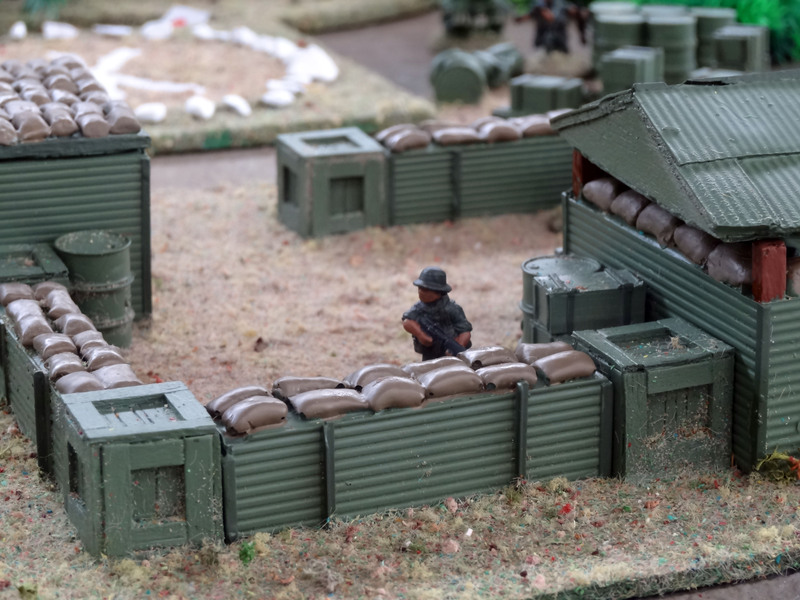 These are photographs from Exeter Legionary Wargames Show in 2016. 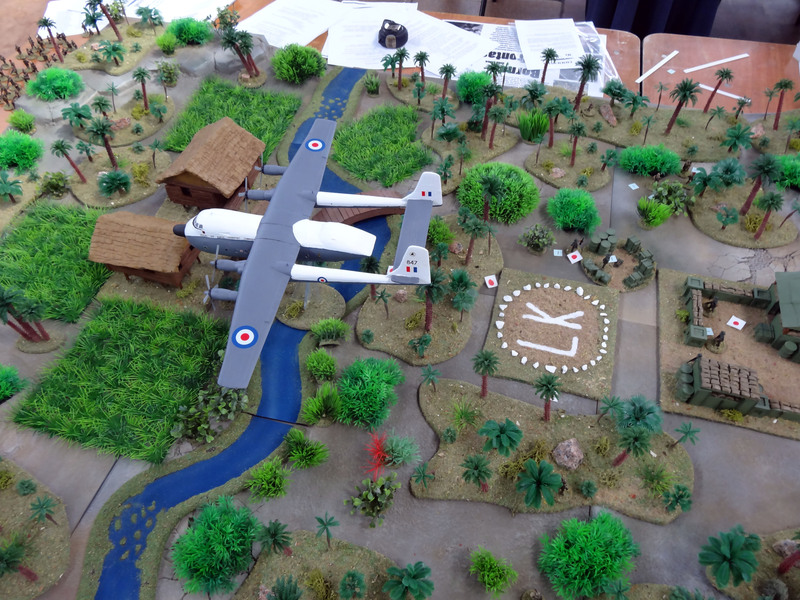 They show an RAF Argosy dropping supplies to a remote Gurkha FLB along the Borneo and Indonesian border c1963. 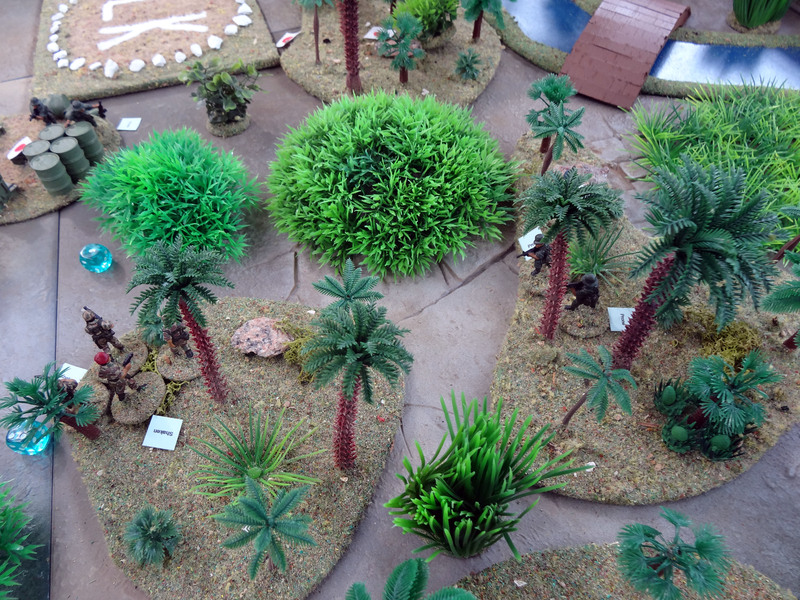 The Indonesians could appear from any of the 4 sides. 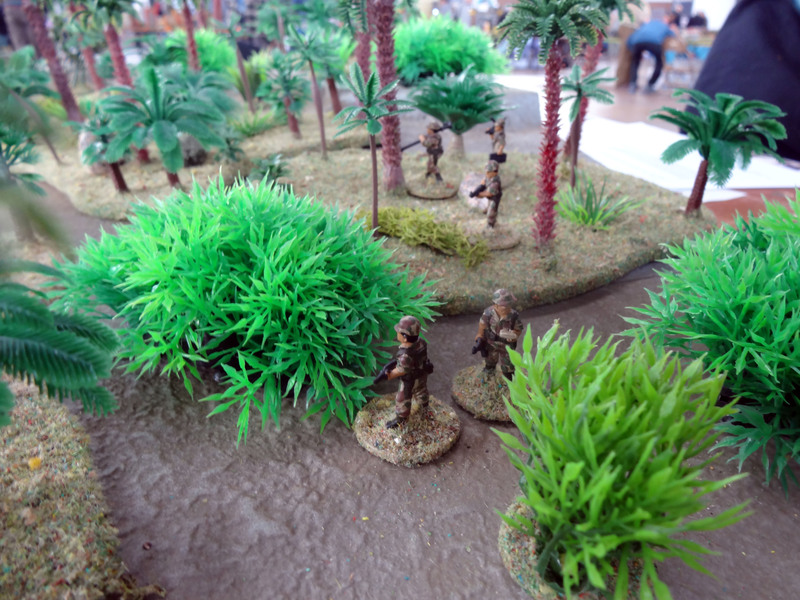 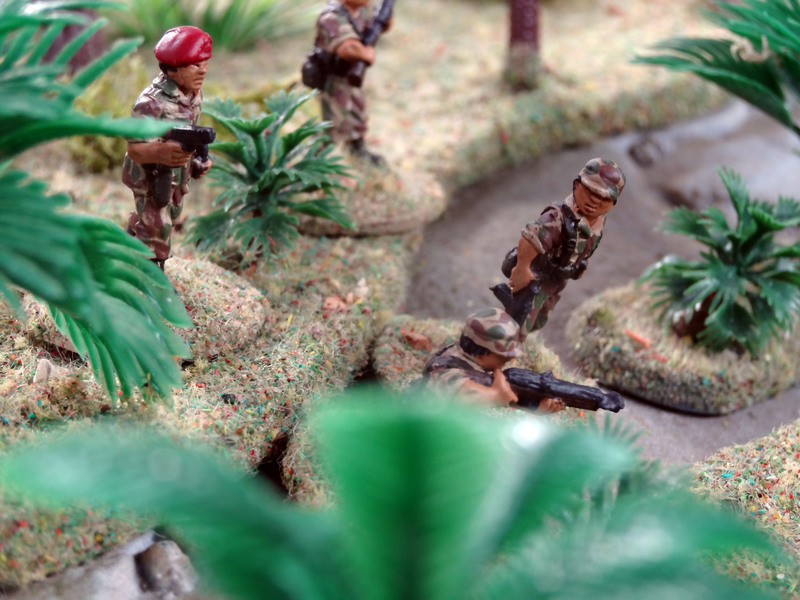 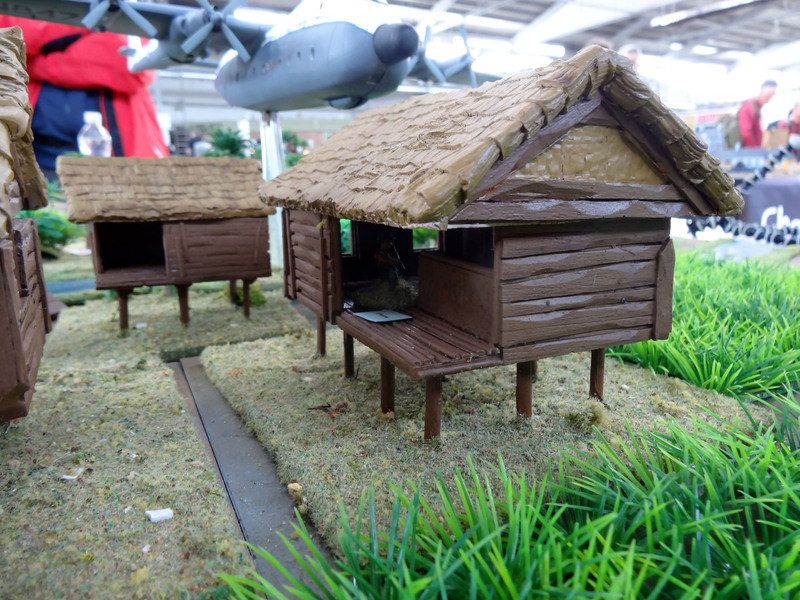 The Gurkhas have eight troops in and around their FLB and another four in the nearby village. 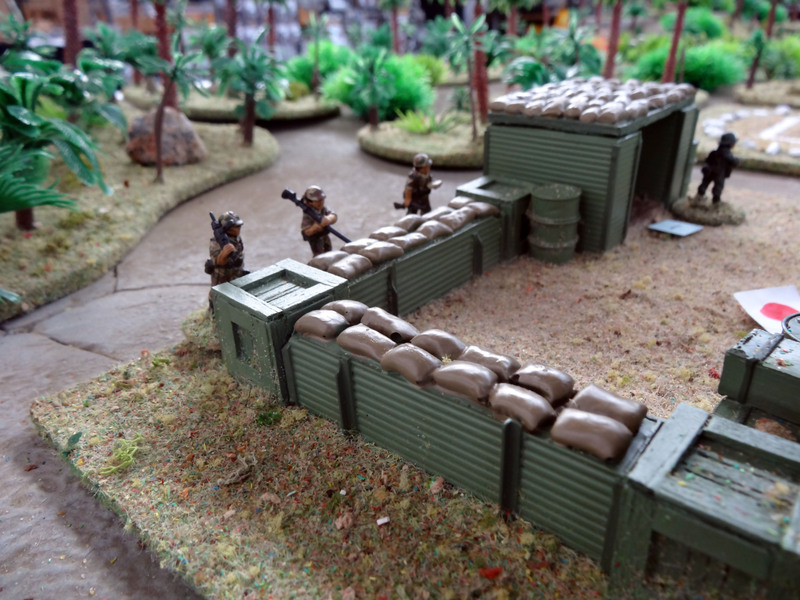 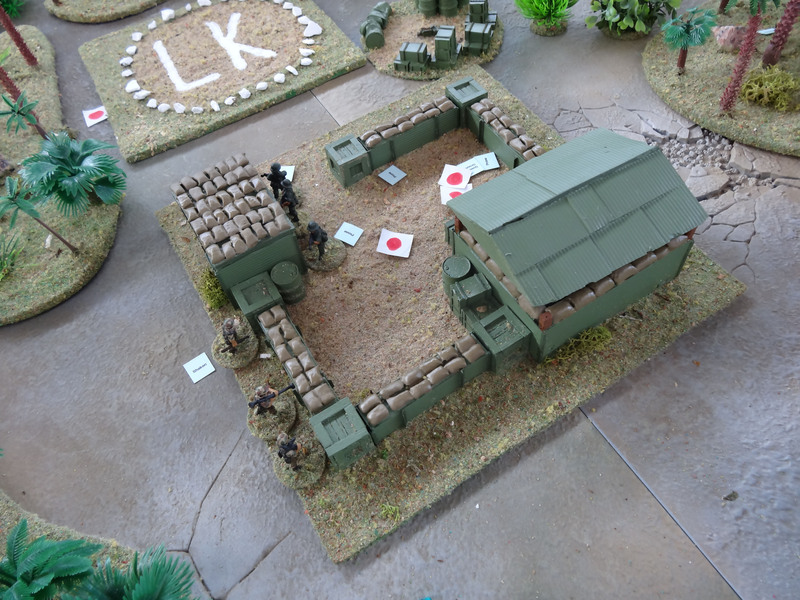 They also have an HMG in the main bunker and a radio operator is their link to the outside world. 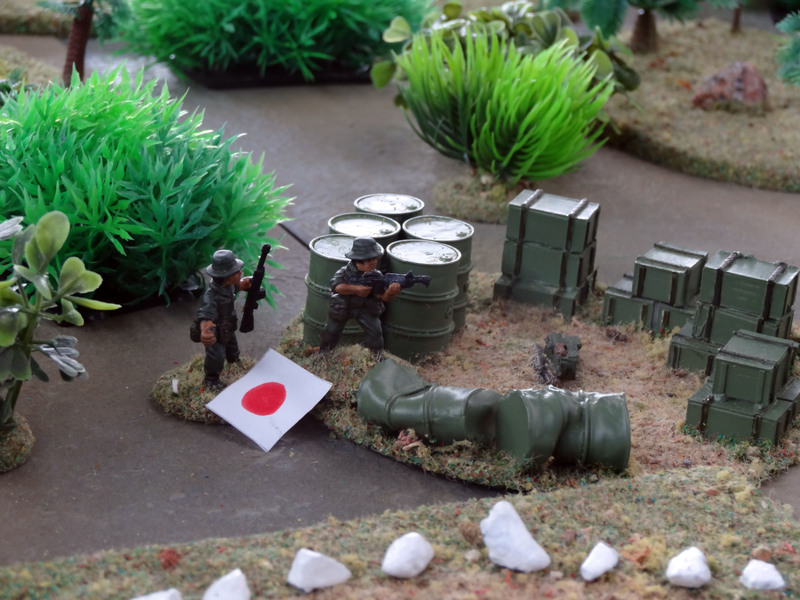 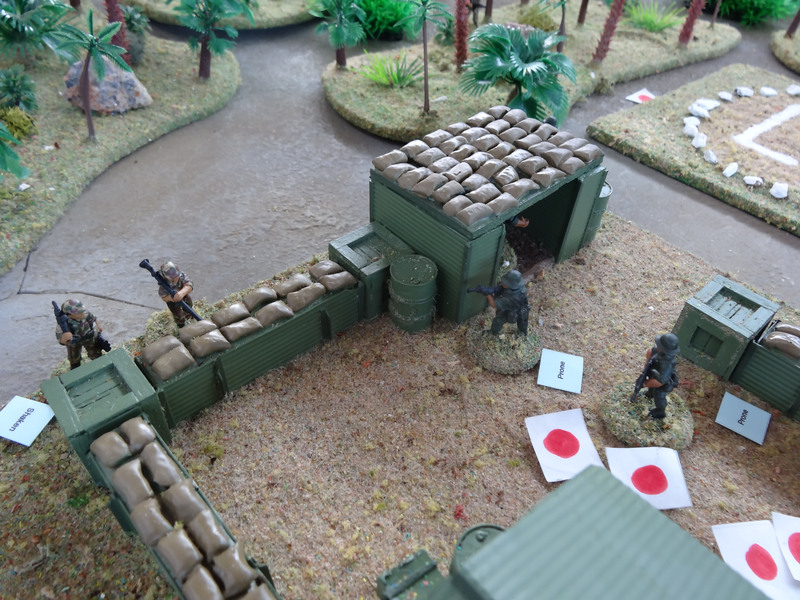 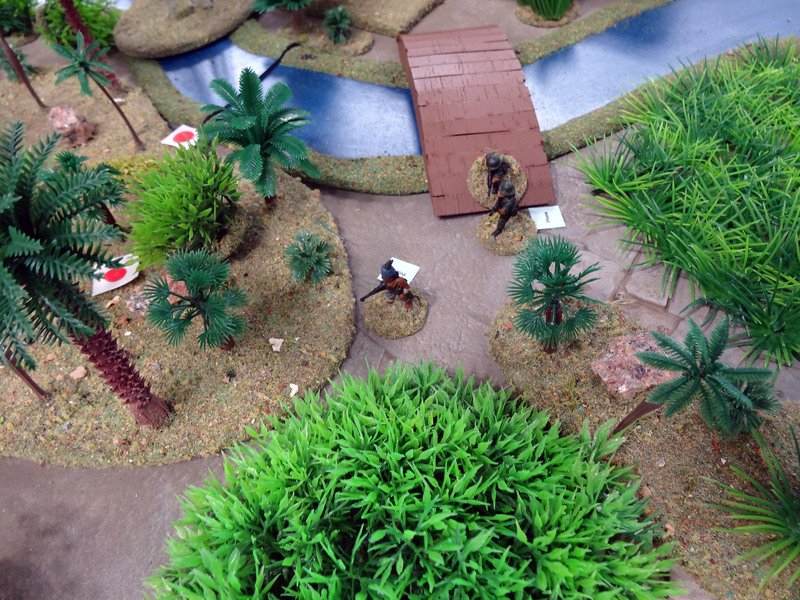 Indonesian NCO (from Westwards) shoots Gurkha Sergeant in the Back!